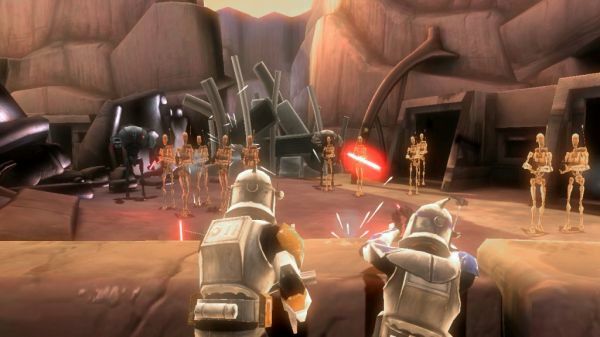 Your co-op Battle Droid blasting will have to wait... Star Wars The Clone Wars: Republic Heroes has been pushed back to October 6th from its original date of September 15th. While this isn't drastic news in most circles, the game looks like a decent co-op casual offering, and the Star Wars crowd is keeping their collective eye on it for the time being. We'll provide a co-op review as usual for those of you that perch on the fence. That's right: we take one for the team, like Han Solo in a carbonite slab. Page created in 0.2340 seconds.